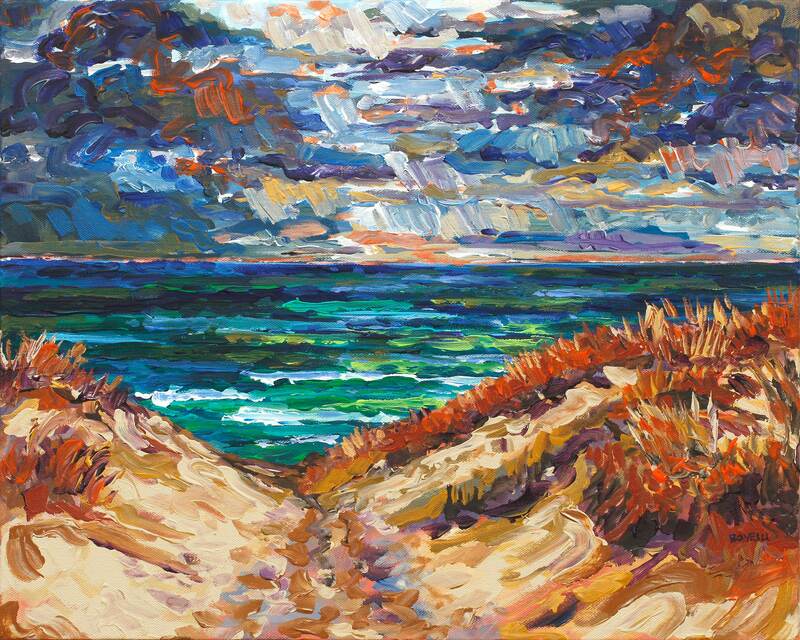 Inspired by a stormy autumn day exploring among the sand dunes. Grasses of orange and brown blow in the wind and are a beautiful contrast with the moody green lake water. Your choice of a high quality giclee print on fine art paper or gallery wrapped canvas. Large sizes available upon request, prints ship for free in the USA.